With a short break ski holiday lasting just 3 or 4 days, we know that you want to spend as much of your time as possible skiing or snowboarding, not waiting ages to organise your kit hire. At all of our locations, Classic and Lite, we have solutions in place to get you fitted up with the kit you need as quickly and easily as possible. Combine this with very short airport transfers to all our locations, plus your lift pass ready and waiting for you on arrival, and you can see why our short ski breaks really do give maximum slope time with minimum hassle! Whichever resort and whichever of our short ski break locations you choose to stay in, we have a carefully chosen option in place for all your ski, boot, snowboard and pole hire requirements. We have carefully selected our ski hire partners to offer you great service, with a good choice of up to date equipment. These are always chosen with ease of access from your accommodation first in mind, and we’ve arranged for them to give our guests a healthy discount on their standard prices too. …made as easy as possible! 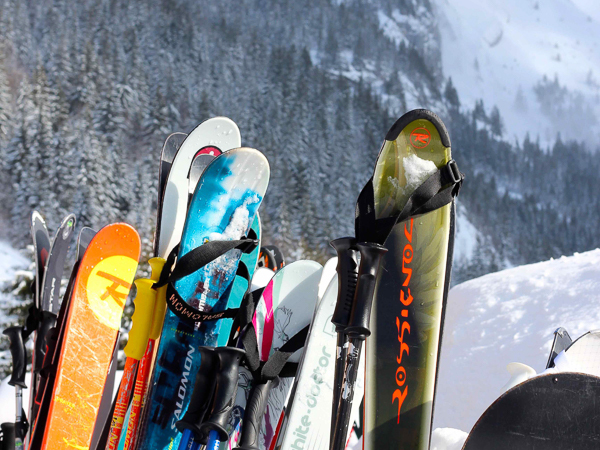 Questions about Ski & Board Hire on your Winter Holiday?